Jenni: The seaside village of Bilene was our first taste of Mozambique on our family road trip. A lacy string of lakes pushing up a white dune as its only border against a crashing sea. We tumbled seat-crumpled out on to the crescent lake-edge resort of Praia Do Sol clutching an ice cold 2M beer, and stripped off for a swim and the first taste of our tropical days. Flamingos tip toed past us. A young man sat on his haunches beside us and started weaving palm fronds in to jewelry, and with us adorned in his artwork, he merely jumped up and disappeared. He asked us for nothing. Our journey went as far as Vilancolus and was focused around our young kids and their voracious energy and lust for new experiences. For some of us it was places revisited, for me, brand new. Mozambique moves like waving palms – slow, sensuous, easy. The people are friendly but not overly interested in tourists. 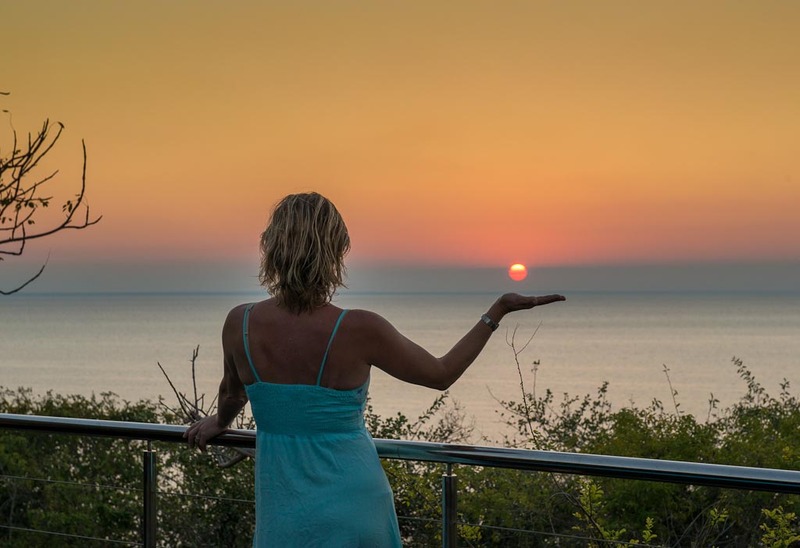 The long strip of land hugging the coast is a fascinating transition from dry bushveld bordering the KNP, to lush palm fringed fields and lakes to a sudden and quite beautiful silver baobab-studded scenery bristling once again with bushveld birds. But always the eye is drawn seaward to the dhows that hover and lean. Cashew nut Christmas trees! Branches hanging with bags of warm-roasted cashew nuts lined the road side as we slipped from town to town at a gruelling 60km per hour. The road in every town is the shop : pyramids of tomatoes, sugar cane sticks, charcoal bags, pineapples, coconuts. And as the day fades little generators kick-start, braziers are lit, people cluster in bars and little kids dance and sway in silhouette. Towns come alive. 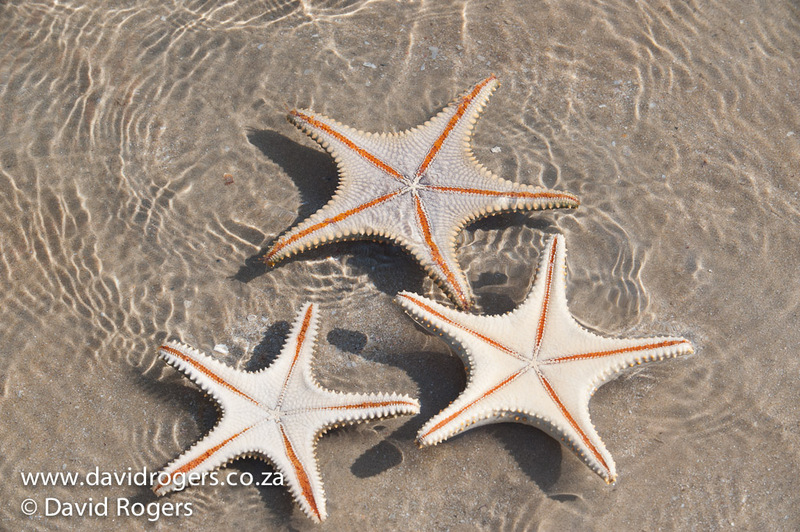 Arriving late and lost at Barra Lodge on the slender spit of the Imhambane peninsula gave us little clue to the elegant Portuguse town surrounded on all sides by water. We later returned to browse its vibrant market and marvel at the art deco buildings and busy harbour. In our little cottage behind the dune at Barra, we awoke to the morning calls of ‘fresh prawns’ and the kids dashed down the beach to barter for our dinner. Days hinge on very little there and it is easy to be content – our kids spent hours finding and cracking open coconuts and helping the wood carvers paint their artwork. Barra’s sleek catamaran took us across to Pansy island which is a tiny sandy spit just off the peninsula, and is a kind of pansy graveyard. 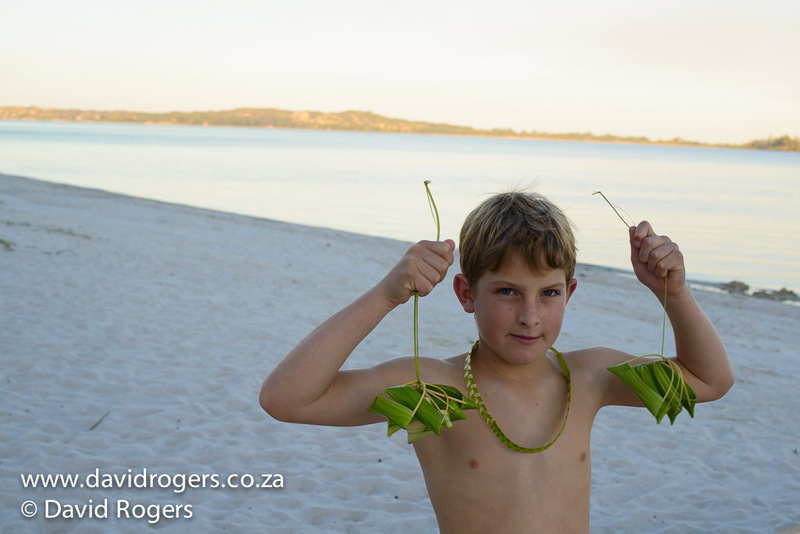 The kids collected handfuls of these lacy white ‘dollars’ but none of us could bare taking them with us. Fishermen dragged in their nets all around our boat, and the kids watched the sardines being chased in to the nets by the young men waste deep. Onward North to Vilancolous and a 15 minute flight across a watercolour wash of blues to Bazaruto island. Indigo Bay was a delightful change from our sleepy water-lapped cottage to it's zippy golf carts that wizzed us off to our palatial villa on the hillside. Poised up above the beach and near the spa, our villa had every luxury imaginable. Our kids thought they were in heaven as they sped down to the huge pool on the beach with it's caves and waterfalls, and began their lessons in virgin cocktails and rigged up their fishing equipment in anticipation of the morning's deep sea excursion Everywhere at Indigo Bay people are happy. Even the staff seem happy. Horse rides, dune boarding, deep sea fishing, snorkelling and more kept us busy and insanely happy. My favourite island time were the balmy evenings when dinners were set up on the beach under lanterns and with cool sand under our feet we feasted on grilled seafood and the children chased crabs under the stars. See Indigo Bay's Villa. The town of Vilanculos captivated us. We stayed a night planning to head back but found ourselves becoming at one with the wide bay, its distant islands, quaint beach bars, craftsmen who shared slow hours with our kids, gorgeous villas perched on the hillside ( see Santorini Villa), and warm-fresh Portuguese rolls made in homemade ovens. Every morning we would pack to go and then suddenly find ourselves at the beach bar around lunch time with the boys playing the Marimbas, local kids playing with our boys, the warm breeze and the waste deep fishermen pulling in their nets in a dance of sky and water.